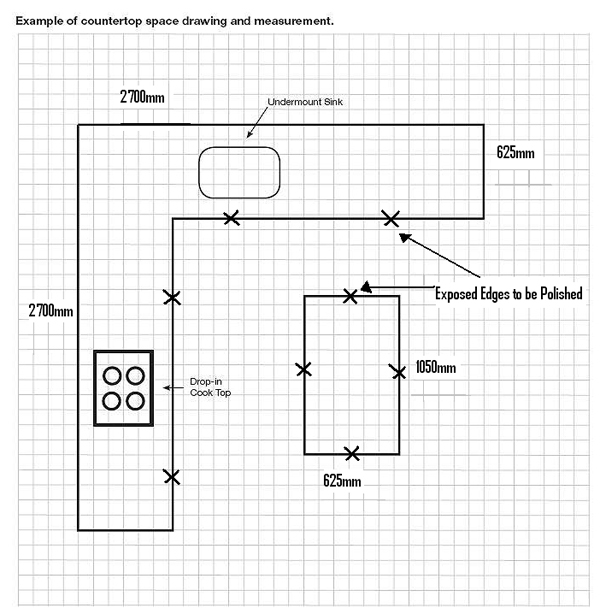 Then mark out the approximate location of any required cut outs for under mount or drop in sinks, hot plates etc. If you require a splash back, draw a dotted line along the length of the bench top where the splash back will go. Please indicate the height of your splash back. Once you have completed the drawing, fax, email or hand deliver it to us and we will contact you directly.